Many organizations, whether commercial, academic or public, are exposed on a daily basis to risks with significant financial and personal costs attached. 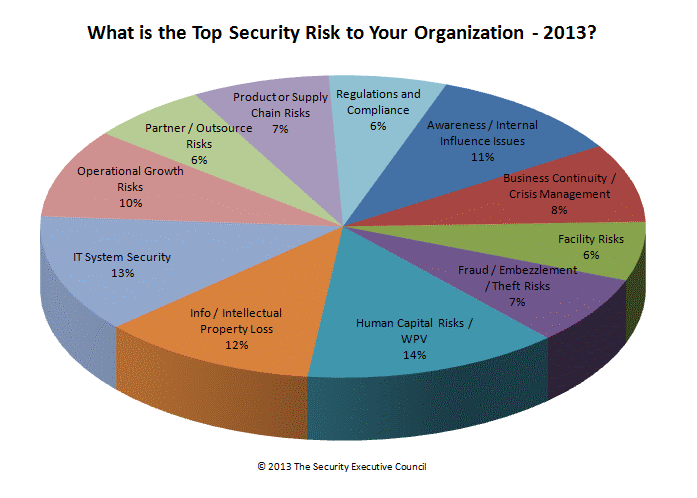 These include threats to computer systems and data as well as actual physical threats. Of course, it’s not pleasant to contemplate threats, and we may too often push aside these thoughts until the next news story breaks of a security breach, workplace assault, property theft or data loss. Leaders who are ultimately responsible for security in their organizations have a mandate to be proactive, and need trusted sources of reliable data, trends and best practices to support their decision making. A new partnership between Elsevier and the Security Executive Council (SEC), a leading research and advisory services firm for risk mitigation solutions, will provide that kind of information. Threats to people and physical assets are nothing new, but these days, technology pushes security efforts beyond gates and guards into RFID (radio-frequency identification) inventory tracking, electronic access control and complex video surveillance and sensor networks. Increasingly, cybercrime — loss or misuse of information to criminal activity via the Internet — poses risks to data and information-based assets. A 2012 study by the Ponemon Institute found that the average cost of cybercrime at 56 organizations across a range of industries was $8.9 million per year, an increase of 6 percent over the previous year. In a world of process outsourcing, far-flung supply chains and highly connected data and social networks, risk mitigation is constantly adapting, and enterprise security professionals need to be nimble and equipped with the latest intelligence in the field. 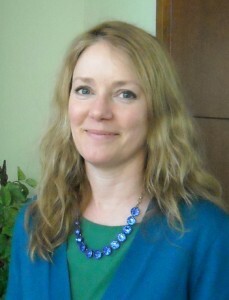 To be most effective, they also need to run security like a business, aligning its objectives with those of the larger organization, and communicating effectively with board-level leadership. 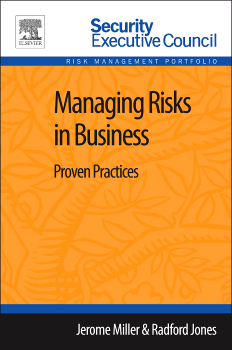 To sign up to receive a free copy of this report along with occasional offers from the Elsevier Store's Security and Risk Management Portfolio, click on the image. These needs have driven the creation of the new Elsevier-SEC partnership. Elsevier’s new Security Executive Council Risk Management Portfolio equips executives, practitioners and educators with information and practical solutions for successful security and risk management programs. SEC subject-matter experts, practitioners and leaders in the security profession, have assembled a collection of practical “how-to” guidelines for proven physical and digital risk management practices. These resources previously were distributed by SEC exclusively. Now, Elsevier is helping to bring this insight to a far wider audience at a time of real need. 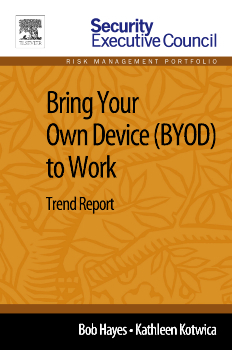 Ten titles are now available, including Bring Your Own Device (BYOD) to Work and Managing Risks in Business, with 15 more planned for later in 2013. The content comes in various forms, from books and trend reports to concise, topic-based articles and narrated PowerPoint presentation videos. 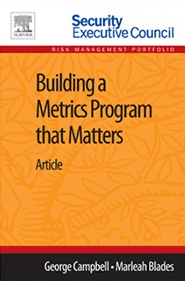 The variety of topics and formats helps make this information useful to people at all levels and in various roles, from human resources to risk management to instructors and educators. The portfolio is the result of collaboration between SEC and Elsevier: it blends SEC's knowledge of strategy, insight and proven practices, provided by a large community of successful security practitioners, with Elsevier's global reach. Plus it builds on Elsevier’s tradition of forming partnerships with thought leaders, subject matter experts and information providers. To see a list of available titles, visit Elsevier’s online store. New titles will be added on a quarterly basis. Read the press release on Elsevier.com.